DDL Recruitment was founded in 2015 by Henry de Haas. With over 15 years' experience in the labour recruitment industry, Henry was inspired to create a company that would ethically and professionally serve the labour needs of the ever-growing transport, warehousing and logistics sector. 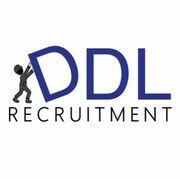 Rate and review DDL Recruitment in Blackburn South, Victoria, Australia! Share your experiences at DDL Recruitment with your friends or discover more Education in Blackburn South, Victoria, Australia.